JPMorgan’s, which recently revealed plans to greatly expand its advisor ranks, had a small uptick in the number of client advisors in the first quarter, the company says. The number of wealth management client advisors rose from 2,865 in the last quarter of 2018 to 2,877 in the first quarter this year, according to the company’s latest quarterly earnings release financial supplement. JPMorgan has been steadily adding advisors since the first quarter of 2018, when it had 2,640 client advisors, according to the supplement. By the end of this year, the company plans to have around 6,500 advisors globally, which includes both the client advisors JPMorgan breaks out in the earnings report and other wealth management professionals across the firm’s operations. The firm had around 5,500 advisors in 2016, a spokesman for JPMorgan told Barron’s last week. 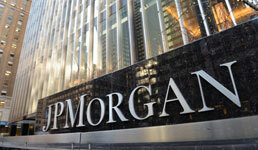 Net revenue in JPMorgan’s asset and wealth management unit was $3.489 billion in the first quarter, up slightly compared to $3.439 billion in the fourth quarter of 2018 and down slightly from the $3.506 billion in the first quarter of 2018, according to the firm’s first-quarter earnings report. Net income rose from $604 million in the fourth quarter last year to $661 million in the first quarter of 2019, but that was significantly lower than the $770 million in revenue the unit posted in the first quarter last year, JPMorgan says. Assets under management reached $2.1 trillion, a 4% increase year over year, according to the report. The company attributes the growth to net inflows into liquidity and long-term products. Meanwhile, First Republic Bank’s much smaller wealth management business continues expanding. The unit’s revenue in the first quarter reached $107.2 million, which was 7.7% higher than the same quarter last year, according to First Bank’s latest quarterly earnings report. And wealth management assets stood at $139.9 billion as of the end of March, which was a 10.8% increase from the previous quarter and a 23.8% gain year over year, the company says, attributing the growth to market appreciation as well as net new assets from both new and existing clients.